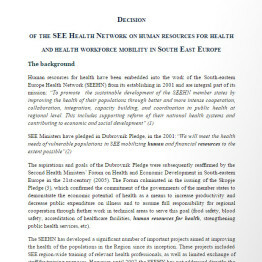 The 40th SEEHN Plenary Meeting under the subject “Ensuring Primary Health Care for Aging Population in the South Eastern Europe” was held in Tel Aviv, Israel, on 11 July 2018, organized jointly by the Presidency of the State of Israel and SEEHN Secretariat. National Health Coordinators of SEEHN Member States, partner countries and partner international organisations, SEEHN Regional Health Development Centres (RHDC) directors and some of the Ambassadors of the SEEHN Member States accredited to Israel attended the event. The final list of participants is presented in Annex 1 of this Report. The purpose of the meeting was to discuss the SEEHN major developments, activities and challenges during the term of the Israeli Presidency (SEEHN Presidency Report January – June 2018) and the future presidency (June 2018 – June 2019, Republic of Macedonia). 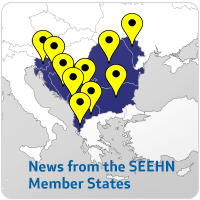 Further strengthening of the working relationship between SEEHN Member States, partners and stakeholders. Taking stock of the Ministerial Meeting outcomes on “Ensuring Primary Health Care for the Aging Population”, held on 10 July in Tel Aviv, and ensuring follow‐up action at the SEE regional level. Additionally, the Plenary took important decisions on the following priority technical and business issues: SEEHN Secretariat (programme, administrative and financial issues and ongoing activities); RHDCs (final draft SOPs and agreement to approve the document in the following two weeks); SEEHN Memorandum of Understanding (outcome of the technical meeting of the SEEHN legal advisers held on 17-18 May 2018 in Belgrade, Serbia); EC/TAIEX (challenges and activities in implementing the Action Plan); partners (joint activities); and, finally, a new strategic project proposal relating to the establishment of a Regional Health Information Centre in partnership with WHO EURO.